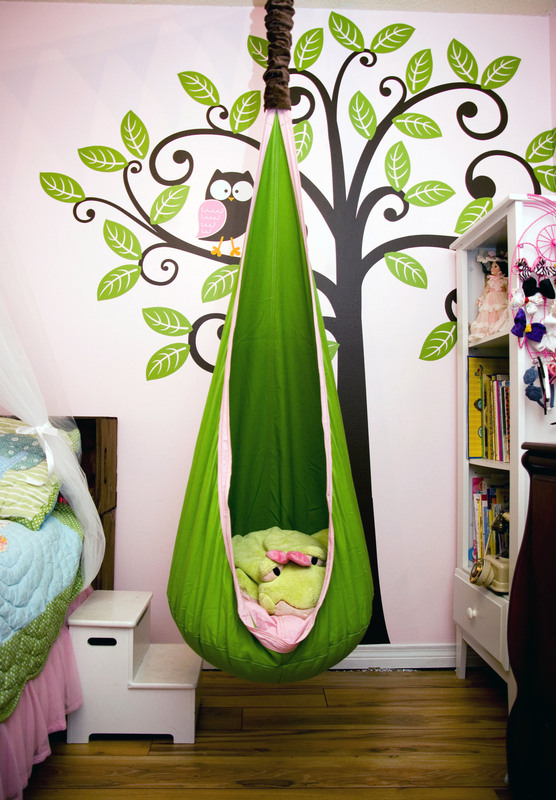 Idyllic tree-swing reading nook, created by Tracy Rauch in her daughter’s room. (http://pinterest.com/tracyrauch/) A similar example is on JenWCom’s flickr at http://www.flickr.com/photos/jenwcom/4914477695/in/pool-539895@N24/. Both moms have been gracious in answering questions in how they accomplished the look.